Is it better to build a first aid kit from scratch, or is it better to buy a good one to start with and customize it for yourself? 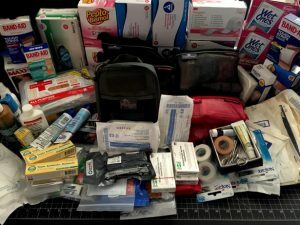 I’ve asked myself that question more than a few times over the years, and each time I’ve come up with another grand scheme in my head on how I might put together the kit of all kits with only the best of the best gear and medical supplies available, and save myself a ton of money doing so. But it is never really that simple, is it? In another life, I was a plumber and I found myself in need of a good first aid kit for my van. But not just any off-the-shelf kit at Walmart would do. I needed something that could cover me in the field no matter the emergency, serious trauma or otherwise. Since I had to put one together for my van, I thought why not do the same for my home. I could put them together at the same time. And since I didn’t already have one, I figured it would be a good idea to start them from scratch. 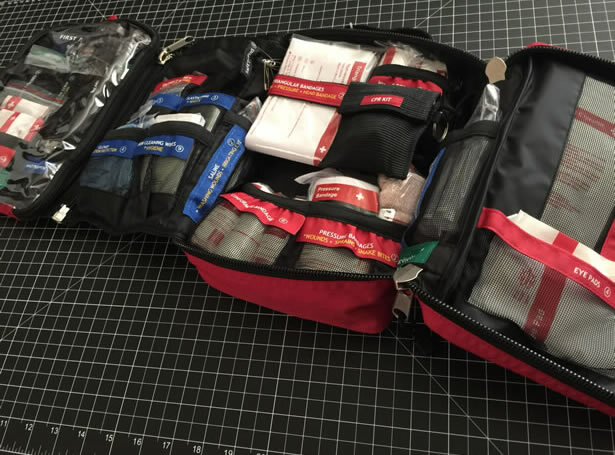 The first challenge that I had was finding decent packs suitable for holding and organizing a first aid kit. 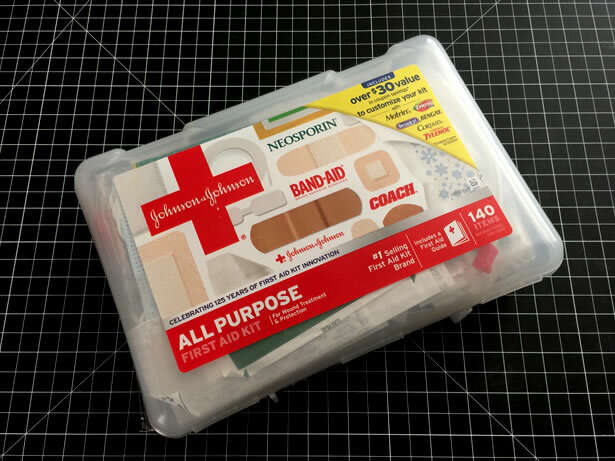 Any decent first aid kit not only has what you need when you need it, it also must be easy to find and use what you need during the most stressful of situations. Organization has got to be one of the key factors when choosing a kit. One-third of the packs out there were absolutely worthless crap, another third were configured completely wrong or have no organizational features whatsoever, and the remaining options cost an arm and a leg and then some. Then again… Maybe I just hadn’t found the right place to look? Eventually, I found what I was looking for, but it was not an easy task, to say the least. The second challenge is getting all of the medical supplies together for a reasonable price. You’d think the most cost effective way to get supplies would be to buy them in bulk, right? Well, that is exactly what I did. I bought huge boxes of what I thought I would need. You’ve got to spend money to save money, or so they tell me. Why buy a small box of 10 assorted band-aids for $4 when I can get a huge box of 100 in each size for only $30? Each band-aid costs more than twice as much if I don’t buy 100. As you might imagine… It’s been a little over 20 years and I still have multiple large utility bins stuffed full with the leftovers. What makes it worse? I bet that I’ve only used 10-20 or so of those bandages in all this time. Not to mention that I spent at least four to five times as much than I thought I would have initially. I try to rid my kits of what is unusable from time to time and I try not to add too much stuff to the hoard as I rebuild and replenish my kits every few years. Not only do the creams and medicinals expire and become less effective, so do the wraps, tape, and bandages. The adhesives and elastics become useless. So unless you have other people going in on the supplies with you, don’t buy them in bulk unless they are items that won’t degrade over time. Especially if plan to use them as something to barter with later in life. The last time that I put a few first aid kits together to replace the ones that I had, I decided to start off with a couple highly-rated kits that were well-organized and then I simply added a few of the missing items that I felt were important. It could not have been easier! And even though the kits were expensive, I ended up with exactly what I wanted without all the fuss and without all of the overstock. I tend to do this little exercise every few years so that I am able to swap out the expired supplies and familiarize myself with what is in my kits. I also like to know exactly where each item is stored just in case I do run into an emergency. The thought of fumbling around unnecessarily during a serious trauma-related emergency always terrifies me. I like my home and vehicle kits to be as complete as possible, but without going overboard. Weight is not an issue in these kits so loading them up with some extra bandages, creams and comforts is always nice. But the area where most family and workplace first aid kits always fall short has to do with treating serious trauma emergencies. For example, I like to have at least a few Israeli bandages, some QuikClot, and two R.A.T.S. tourniquets or CAT tourniquets in each of my kits. However, since I am not a trained medic, there are only a handful of procedures that I feel even remotely comfortable performing so certain trauma supplies just do not make sense for myself to have on hand. Although, I do also like the idea of having some life-saving stuff on hand in the event that a trained medic happened to be nearby at the right moment when one of my family members needed assistance. 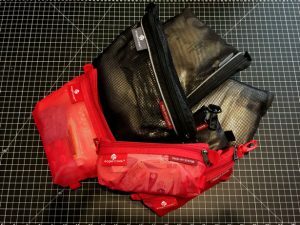 Now when every ounce counts like it does in my BOB and EDC kits, I prefer to keep them as simple as possible, focusing primarily on trauma-related supplies. Fewer bandaids, fewer creams and fewer medicinals to weigh me down, leaving plenty of room for a few Israeli bandages and a couple tourniquets. Three years later and it is time to do it all over again… Only this time around it is one for my house, another for my truck and a few smaller ones for some bug-out bags and my EDC. Based on what I’ve learned, I will undoubtedly be starting off with some quality kits and build on them from there.